Jens M. Daehner, Kenneth Lapatin (ed. ), Power and Pathos: Bronze Sculpture of the Hellenistic World. Los Angeles: J. Paul Getty Museum, 2015. Pp. 368. ISBN 9781606064399. $65.00. Among traveling exhibitions of recent years, the one accompanied by the eponymous catalogue under review (simultaneously published in English and Italian) must rank as one of the best and most significant. Sponsored by the Bank of America, and with the collaboration of authorities in several countries (primarily Italy and Greece), the show opened in Florence, Palazzo Strozzi, on March 14, until June 21, 2015. It is now in Los Angeles, at the J. Paul Getty Museum (July 28-November 1) and will end at The National Gallery in Washington, D.C. (December 6, 2015-March 20, 2016). Because the genesis of the book is the Exhibition, yet the result is far too heavy to be carried around on inspection, I focus on the catalogue, with notes often referencing the various essays where relevant. The volume begins with a List of Lenders (34 museums in 13 countries on four continents), a Foreword signed by the directors of the three exhibition galleries and the Archaeological Soprintendente for Tuscany, lengthy "Acknowledgments" by the two editors (both Associate Curators at the Getty Museum and well-published scholars), and a wonderful Map showing the findspots of the exhibits, with anchor symbols marking underwater discoveries. Eleven essays follow, pertinent to issues of Hellenistic bronzes and assigned to some of the best-known specialists in the field. The Catalogue proper, which includes some spectacular and famous masterpieces, is divided into six thematic sections comprising 55 entries by various authors— many of them by either of the editors and a few by three contributors to the essays.1 An Appendix (prepared by J. Maish) lists the alloy compositions of 22 of the exhibits. A lengthy Bibliography, information about the essay writers, an Index, and "Illustration Credits" conclude the volume. The last item deserves special attention, because scattered throughout the book wonderful photographs supplement and complement the catalogued items, thus making this publication a stunning visual pleasure—indeed, its entire layout seems formatted to privilege the images, with half pages often left empty of text. The third example offers the most spectacular comparison of all. The bronze athlete (Cat. 41) found in the Northern Adriatic Sea near Croatia in 1997/1999 was immediately recognized as a replica of the so-called Apoxyomenos (Cat. 40) found at Ephesos in 1896, whose many fragments were recomposed into a complete figure on the basis of a marble replica in Florence (Cat. 43). 13 The almost intact statue in Zagreb has also served to rehabilitate a bronze head in Fort Worth (Cat.42) which had been considered a Renaissance work because of later restorations, now removed. Beyond a long history that attests its existence since the 16th century, the method of attachment of this head—along a line running from the nape to the underside of the chin—is duplicated in the Croatian athlete, yet was unknown to early Italian artists. The three bronze heads have a distinctive rendering of the short curls across the forehead, as if brushed down by a sweaty hand, thus confirming the faithfulness of each to the same prototype. On the evidence of the complete bodies, several more replicas of the type have been tentatively identified, all in stone: five in reduced version and five at full scale, one of which (Cat. 44), in Egyptian basanite, imitates the shiny dark surface of aged or patinated bronze.14 Given the apparent popularity of this athletic type, as against the single known marble version of the Vatican Apoxyomenos, Mattusch now suggests that the Ephesos/Croatia prototype should be identified with Lysippos' celebrated creation.15 If accepted, this proposition raises an interesting point about the almost Polykleitan stance of the bronzes, as contrasted with the rotating pose of the Vatican figure that has given rise to much speculation about Lysippan torsion. The chronology suggested for the Roman use of basanite adds its contribution to recent studies of quarries in antiquity and their implication for the dating of sculpture.16 Analyses of alloys and casting techniques are equally important, but much depends on the types of technology used by the various laboratories, the selection of the samples, and the possibility that bronze, so easily and repeatedly melted down, mixed and reused, may produce an unclear picture. Hence the cautious warnings prefacing the Appendix in this volume, and especially the important essay by A. Giumlia Mair, "Techno-Chronology? Alloy Composition and the Use of Technical Features for the Dating of Ancient Bronzes" (pp. 166-81). Beyond the authoritative assertions that the Chimaera of Arezzo is a "Greek" bronze datable to the late 5th/early 4th century BC (p. 168),and the Capitoline She-Wolf is Medieval (p. 172), a startling statement is that the choice of alloys without or with small amounts of lead, contrary to previous theories, is a chronological characteristic of early bronzes—Greek, Italic, or Roman—and not a regional one (p. 169), with a shift in tradition toward increasing lead amounts occurring around 400 BC. As it happens, the essay following Hallett's— A. Descamps-Lequime, "The Color of Bronze. Polychromy and the esthetics of Bronze Surfaces," (pp.150-65)— has a photograph of Riace A's head (fig. 10.3; also fig. 2.1 on p.34) that well shows the "terribility" of what seems almost a mask rather than a human face. The entire essay mentions nothing else truly comparable, not even, perhaps,the entire statue of the Seated Boxer in the Terme (Cat.18, with detail photograph on p. 13), but it makes many useful points emphasizing the flexibility of what would seem to be a single-color medium. Last but by no means least, I must acknowledge the two not-yet-mentioned essays. A. Stewart's "Why Bronze?" (pp. 34-47) recounts ancient myths about metals and tackles the difficult task of evaluating the expenses and profits of bronze works in Hellenistic centuries, while promising more comments on sculptors' wealth in a forthcoming study. G. Adornato's contribution "Aletheia/Veritas: The New Canon," (pp. 48-59) uses ancient sources, especially the much-discussed epigram by Poseidippos of Pella, to illuminate a specific new direction in Hellenistic depiction of human forms: the tendency toward "truth." At the end of this length survey of the entire volume, this reviewer would urge interested readers to revisit the first essay, by J. M. Daehner and K. Lapatin. They will acquire a renewed understanding of this multifaceted period in ancient art. 1. See p. 15 for a complete list of all contributors. Not all items in the catalogue are shown at each venue (p. 4); omitted are: at Palazzo Strozzi, Cat.7, 9, 12, 19, 25, 26, 27, 28, 41; at the Getty Museum, Cat. 8, 19, 23, 43; at the National Gallery, Cat. 8, 9, 18, 19, 23, 41, 43. It is regrettable that Cat. 19, the dramatic Mazara Satyr, will not travel with the show. I am told that Cat. 41, the Croatian Apoxyomenos, will not be at the National Gallery, and that Cat. 13, the Mahdia Eros, did not make it to any venue. 2. See, e.g., Cat.2, the Riding Alexander from Herculaneum, which could replicate the Lysippan image from the Granikos commemoration, but, from associated finds, could also be part of a different and later story line; or Cat. 16, the Weary Herakles statuette from Sulmona, whose "extremely high quality" has suggested attribution to the very workshop of Lysippos, but which the entry dates "Third century BC or first century AD (?)." Cf. also other dates and attributions in S. Hemingway's informative essay, "Contexts of Discovery," 60-71 and compare the position of the editors in "Reframing Hellenistic Bronze Sculpture," 20-33, esp. pp. 24-26. 3. E.g., Cat. 12, the Getty Athlete from the Adriatic Sea: "350-150 BC"; Cat. 28, the head of a North African from Cyrene: "300- 150 BC"; or the extreme case of the Mazara Satyr from the sea, Cat.19: "Late fourth to mid-first centuries BC." Several items are dated "First century BC-first century AD." The date of Cat. 14, the Statue of a Young Man from the Aegean Sea, is erroneously printed as "Third-fourth century BC." 4. See R.R.R. Smith's important essay, " Eikon chalke : Hellenistic Statue Honors in Bronze," 94-109, esp.108 and fig. 73.F. 5. Etruscans: Cat. 31, 32, 33 (the famous Arringatore). Romans: Cat. 10,11,29(?),35,38,39. For Roman "creations" see below, notes 19-20. 6. Statuettes: e.g., Cat. 4, 15, 17, 36. Erotes from Yemen: Cat.26, inscribed in Qatabanic script. The essay by M. P. Canepa, "Bronze Sculpture in the Hellenistic East," 82-93, includes several little-known monuments, mentions possible "acrometallic" cult images on armatures of brick and clay, and compiles a helpful bibliography, to which add R. Fleischer, R. Schulz, "Figurale Bronzes ägyptischer und griechisch-römischer Art von Jabal al-'Awd, Jemen," Archäologische Berichte aus dem Yemen 13 (2012)1- 86. 7. Aphrodite from Satala: Cat. 23; Vani torso: Cat. 49; boy from Hierapetra: Cat. 34, and p. 65. Although this last entry lists "Raftopoulou 1975" in its bibliography, it does not mention that publication's suggestion that a headless marble statue in Budapest (Arch.Mus. no. 4743) is a copy of the bronze; yet its existence seems important for the theme of replication stressed by the exhibition. 8. See p. 65, fig. 4.4, showing the excavation; and cf. fig. 4.1, p. 60, with the famous Terme Boxer (Cat. 18) still in situ on the Quirinal Hill "looking as if he were just waiting to be found," as described by Hemingway in his essay (supra, note 2),71. I believe he is the only author citing (p. 62 and note 3) the bronze life-size foot of an elephant found at sea with the Mazara Satyr, exemplifying the kind of statuary connected with Ptolemy II Philadelphos' procession depicting Dionysos' Return from India. 9. "Hellenistic Bronze Sculptures from the Aegean Sea: Recent Discoveries (1994-2009)," 74-81, also listing in the endnotes numerous finds from earlier years. It seems surprising that a bronze dolphin (fig. 5.2, p. 75) would have served as support for a larger figure which, in bronze, had no need for extra static help; the suggestion of a fountain (or the attachment to a ship prow?) may be more plausible. 10. As stressed by the editors' essay (supra, note 2) and in strong contrast to our general conception of the marble "Roman copies.". Among Mattusch's groundbreaking publications, see especially Classical Bronzes: The Art and Craft of Greek and Roman Statuary, Ithaca/London 1996; also the essay cited below. 11. Mahdia and Getty Herms: discussed by Mattusch 1994 and summarized in her present essay, "Repeated Images: Beauty with Economy," 110-25, citing several additional examples. See also the fuller analytical tables for both items, pp. 321-22. 12. Piombino Apollo in the Louvre: Cat. 47a-c includes three fragments of the lead tablet with artists' signatures originally found inside the statue and later lost but newly found and declared genuine. N. Badoud, Les temps de Rhodes. Une chronologie des inscriptions de la cité fondée sur l'étude de ses institutions Munich, 281, no. 218, is cited in the entry, but the attribution to Athena Lindia is followed by a question mark. For the Apollo's alloy, see pp. 322-23. Marathon Boy: Mattusch's essay (supra, note 11), fig. 8.2 and pp.111,124. 13. The marble Apoxymenos in Florence (probably from Rome) is wrongly restored as holding a vessel, but the pose of its arms is close to that of the bronzes. Unfortunately this marble comparison will not be exhibited in Los Angeles and Washington D.C. The head of the Croatian statue, compared to the (restored) Ephesos figure, "is not turned to the left, is inclined further forward, and is somewhat tilted" (p. 274). 14. Cat.44. This dark headless torso from Castel Gandolfo has been misidentified as being in basalt, together with other examples in the same stone, which is however properly described (Cat. 52, p. 301) as coming from Mons basanites in Wadi Hammamat. 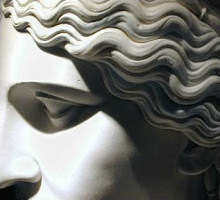 It is said to have become popular for large scale Roman statuary in the 1st c. BC. The entry for Cat. 44, p. 281, lists possible replicas of the Apoxyomenos type. Cat. 41, p. 275, suggests that all three bronzes came from the eastern Mediterranean, all the stone ones probably from Italy. 15. Vatican Apoxyomenos: p. 122, fig. 8.11. Mattusch's suggestion: her essay (cited supra, note 11), p. 123; the possible change in attribution is favorably repeated by T. Potts in his entry for Cat. 42, p.276. 16. See, most recently, M. Bruno, D. Attanasio, W. Prochaska, "The Docimium Marble Sculptures of the Grotto of Tiberius at Sperlonga," AJA 119.3 (July 2015) 375-94, dating all major groups to Tiberian times, with additional references to other quarry chronologies. 17. Porticello Bronzes: C. J. Eiseman, B.S. Ridgway, The Porticello Shipwreck: Mediterranean Merchant Vessel of 415-385 B.C, College Station, Texas A&M Press, 1987; second printing 2012. Feet in two halves: nos. S7/8, figs. 5.35-5.51, and references to comparisons (including Boubon): pp. 95-96 and notes 15-17. It is regrettable that the Porticello bronzes, from a properly excavated wreck,to my knowledge have received little technical attention. B.S.Ridgway, AJA 114 (2010)331-42, adds the second male head from the wreck. 18. See, e.g., Hallett on the reasons for the change from the Severe to the Classical style: JHS 106 (1986) 71-84. 19. On the Archaic and Early Classical continuum: pp.131-33; on the Herculaneum "Dancers": 133-37; on the "hardness scale" borrowed from Stewart: note 45; on the comparison with mirror stands, note 58 (but would many such 5th c. objects have been extant during Augustan times ? ); on forgeries, both in art and history: pp. 144-46. The bronze Spinario Cat. 54 (whose "Severe" head type is known in at least 11 replicas) can here be compared with a marble version (Cat. 55) with proper "Hellenistic" head type. 20. Hallett's description of the divine heads on gems figs. 9.9-10, p. 139 (with mass of curls "rather improbably staying firm in place") should be read against my own analysis of Warrior A, in Due Bronzi da Riace, (Bollettino d'Art Serie Speciale 3, Rome 1984) 313-26, reprinted in my Second Chance. Greek Sculptural Studies Revisited The Pindar Press, London 2004, esp. pp. 272-77; see p. 273 about the forehead spiral curls turning "an abrupt corner" without being pulled down by their own weight.